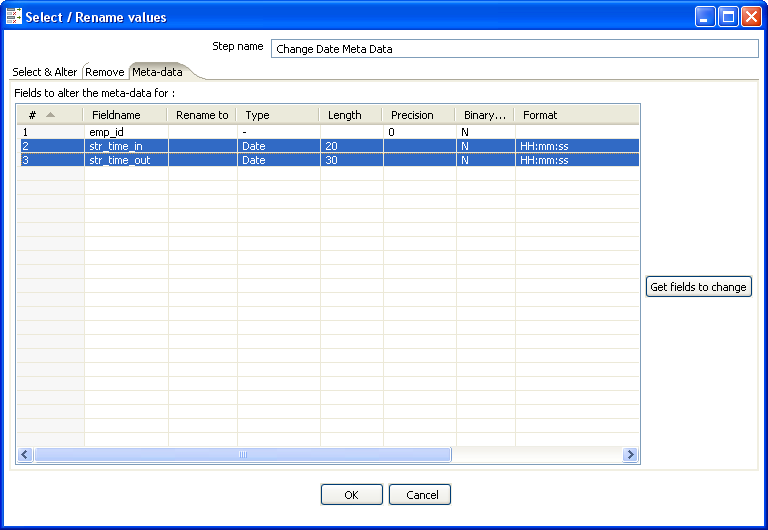 This article try to answer problem based on question from Pentaho forum - http://forums.pentaho.org/showthread.php?t=67206. In this thread, the poster have incoming rows which have text based start time and end time information columns. And then we need a third column which is a calculation of the difference between the two columns. All columns will be in hh:mm:ss format. 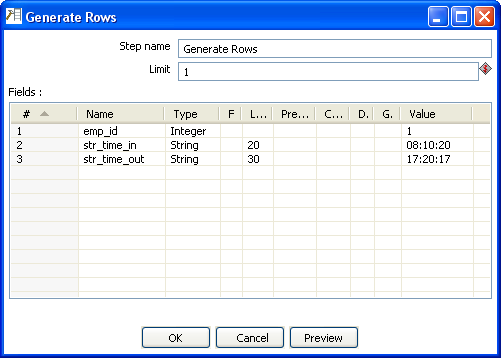 Here I give a ktr sample which data is generated from a "Generate Rows" step. Change the resulting column data type to date again using "Select Values" step. Note that I also rename - which is not necessary - the resulting column from deltaDateStr to deltaDate. 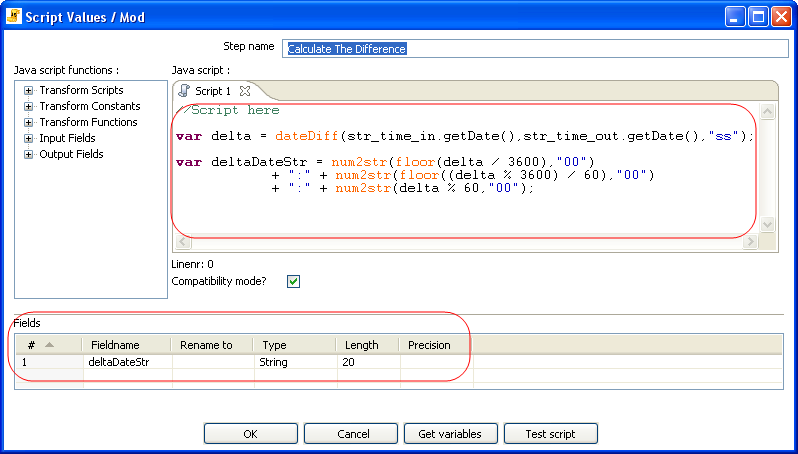 If there is an invalid character that violate the time format - this can be happen since it is text based which can accept any characters - the overall flow will stopped. 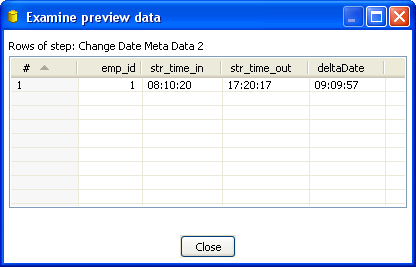 You need to have an error handling in our changing meta data step which is still not available in current version. answer_convert_string_to_date.ktr : sample .ktr file, can be downloaded at the attachments list below.